R Ideas designs and distributes impulse-buy items that are sold around the world. Here, I designed packaging for a novelty shot glass product. You drink a shot, and then you run. 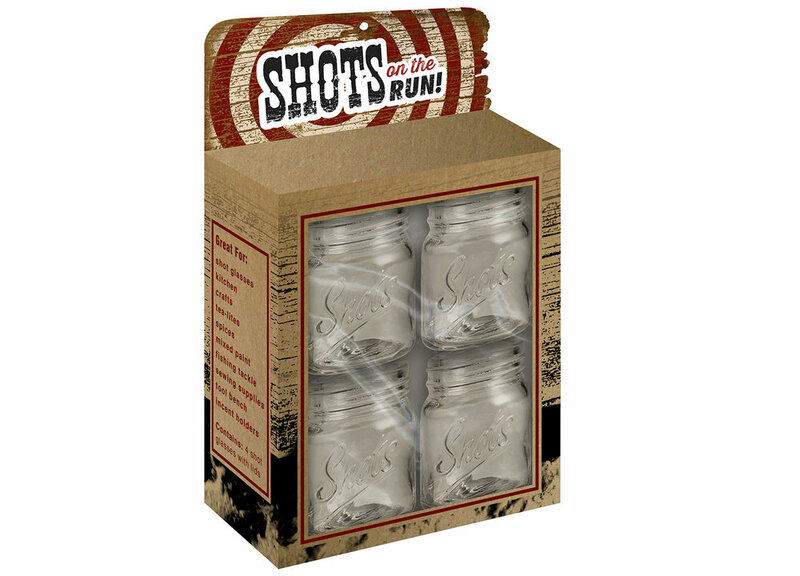 The goal here was to make the packaging eye-catching enough to entice passersby to buy the shot glasses on a whim. My client wanted a western theme, so I went with a decorative western font, a bull’s-eye, and wood texture on a chipboard substrate. The die-cut wood-shaped edge adds visual interest and distiguishes it from other packaging.